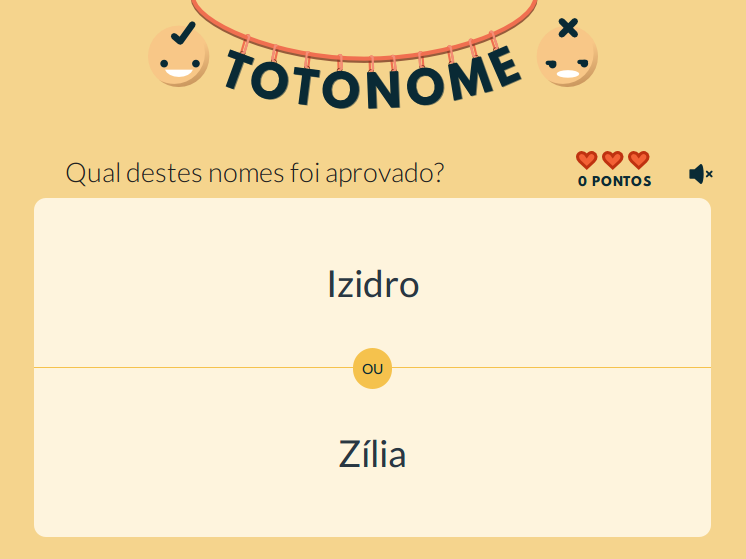 Totonome is a web game which exposes the intricacies of the Portuguese naming process. It draws on the official database of accepted and rejected baby names to put forward a quiz which tries to shed light and make sense of the bureaucratic decisions behind Portugal's name policies. Portugal has a child naming policy based on a fixed list of accepted names. There are procedures for parents who want to pick a name outside the list; it is up to officers at IRN to determine whether the proposed name is acceptable or not.